Hello! Today I’m really excited to tell you about a very unique and special travel opportunity that comes to you by invitation only. It’s a private invitation from a French Countess by the name of Marnie de Vanssay asking us to join her for 7 days as the exclusive guests of the French Aristocracy of the Loire Valley, the magnificent Chateaux region just outside of Paris. Over the course of 7 days in May an intimate group of exclusive guests will meet the owners of stately French homes, famous chateaux and romantic gardens, and see parts of their houses, wine cellars and art collections normally inaccessible to the public. Because of a special connection I have to the Countess, I am able to pass this invitation along to you. Since this is a very small group trip you must act fast because the opportunity will not last more than a few days before it is sold out. Here’s the fantastic itinerary entitled, Jardins à la Française, Gardens of France. Arrival via own transfer to Château de Bourron, an elegant, family-owned castle hotel. Occupying a grand, 17th-century chateau at the edge of Bourron-Marlotte village, this high-end hotel lies on a 42-hectare estate. It boasts 9 refined, country-style rooms decorated with period features such as oak wood floors and fireplaces. All have en suite bathrooms. Enjoy a VIP welcome by Count and Comtesse de Cordon with afternoon tea, a tour of the Château and discussion of its history. Later in the evening enjoy dinner in the gourmet restaurant “Les Premices” in the Orangerie of the Château. Spend the morning at Château de Fontainebleau with art historian Wafaa Lenkey. A fabulous French Renaissance Chateau chalk full of paintings, statues and furniture collected throughout the centuries by the rulers that called this château home. 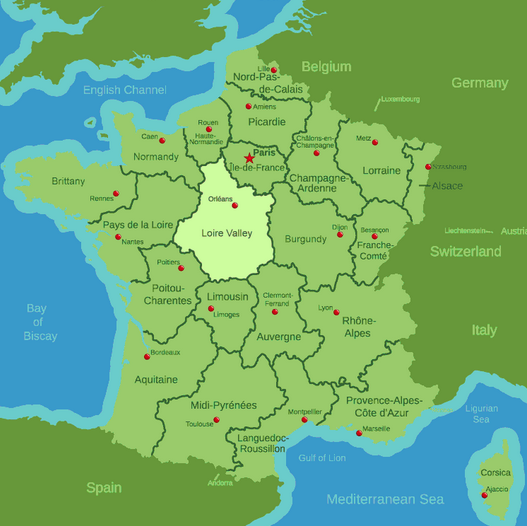 It has amazing gardens, courtyards and one of France’s favorite forests. Its Grand Parterre, the largest formal garden in Europe, is the most impressive garden of the chateau. Château de Fontainebleau is the only royal residence that has housed rulers for over 8 centuries and is now listed as a UNESCO World Heritage Site. In 1814 Napoleon bid farewell to the Republican Guard here before being deported to the island of Elba. Next you will visit Chateau de Courances with owner, Valentine de Ganay. Built in approximately 1630, Courances has been acclaimed as the epitome of the French Formal Garden combined with a Chateaux. The story goes that the name Courances stems from the “running waters” present in the park. There are no less than 14 natural springs in the park, a river (the Ecole) and 17 ornamental pools. The earliest pools date back to the 16th and 17th centuries. 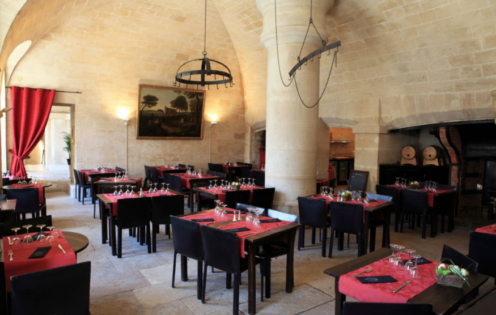 Following the visit to Chateau de Courances you will enjoy a gourmet lunch at Caveau des Lys in Fontainebleau. After lunch you will drive to Vaux le Vicomte for a VIP late afternoon private tour of this famous Chateau with the owner, Count Alexandre de Vogue. His beautiful Chateaux was a model for Versailles as well as the set of the James Bond film Moonraker. The tour will be followed by a candlelit dinner at the Chateau. Following dinner return for night to Chateau de Bourron. On to the Loire Valley, cradle of the Kings of France, where you will enjoy a chic lunch at Château de Beauregard hosted by owner Comtesse du Pavillon in the room of the 427 portraits of the main kings and queens of Europe. Next, visit the most magnificently furnished Chateau of the Loire: Château de Cheverny, including its beautiful gardens. This private visit will be guided by the owner, Marquis de Vibraye, with coffee in the private drawing rooms with his wife, the Marquise. The Vibraye family has owned Cheverny for over 700 years! Next stop, Château de la Barre which will be your new home away from home. Receive a VIP welcome by Count & Countess de Vanssay, 20th generation of the Vanssay family at their chateau. Partake in champagne cocktails and the Grand Siècle Dinner, hosted by the owners in their 18th century grand dining hall, with prestigious wines from the Count’s private cellar. Following dinner retire for the night at Chateau de Berre. Today you will enjoy an elegant picnic lunch at Château du Lude, hosted by Countess de Nicolay. This visit will include a visit to the chateau’s rose and labyrinth gardens. Next we will discover the famous Villandry Gardens with the owner, Henri Carvallo, great grandson of American heiress Ann Coleman who purchased Villandry in 1905. But you day will not be complete without a visit to the Château de Chenonceau (my favorite one of all!). You will be guided by Botanical Director, Nick Tonlay. I am so excited about this visit to what is known as the ladies château. It is the most visited and photographed château’s of the Loire Valley, and for good reason. That evening enjoy a private visit and elegant dinner at the Gardens of Sasnières, created by former President, Giscard d’Estaing’s sister-in-law, Rosamée Henrion. Return to Château de la Barre for the night. Visit the medieval Plantagenêt City of Le Mans on a guided shopping tour with Countess de Vanssay. See the famous Malicorne Porcelain, visit a stained glass window manufacturer and stop into the home of atelier Hervé, manufacturer of the famous hand-crafted Hermès Birkin Purses. A private visit and lunch at 18th century Château Chêne de Coeur will be hosted by the owners, Comte & Comtesse Ogier d’ivry. then past the magnificent Château de Maintenon, residence of Louis XIV second wife. located at the foot of the Palace of Versailles and Gardens and just 30 minutes from Paris. Dining on your own at one of the many wonderful restaurants in Versailles such as Gordon Ramsay’s 2 Michelin Star Restaurant. His restaurant is located in the beautiful Trianon Palace Hotel, a place I have stayed and loved. Morning visit to gardens & castle of Chateau St. Jean de Beauregard with owner Viscountess de Curel followed by light lunch onsite. Afternoon private VIP visit to Queen Marie Antoinette’s Apartments and private theatre at the Trianon Palace, not normally open to the public. Diner at the very exclusive Jockey Club in Paris, normally open only to members of the French Aristocracy. Spend a second night at Hotel Le Versailles. Depart for Monet’s gardens at Giverny, arriving before the tourists for a private visit of his home and gardens. Check into the magnificent Relais & Château Auberge Jeu de Paume, a 5 star hotel next to the Royal Palace of Chantilly. Lunch at La Capitainerie, where famous chef Vattel invented the whipped cream now called “Chantilly Cream”. Next you will enjoy a guided tour of the Domaine de Chantilly where the palace art collection is second only to the Louvre, and the Apartments of the Duc d’Aumale are unchanged since 1870. You’ll have a guided visit through the 300 acres of grounds of the Domaine de Chantilly, which is a magnificent summary of garden fashion over the centuries: the 17th century style garden of Le Nôtre, the Anglo-Chinese gardens of the 18th century and the English garden of the 19th century. Scenes from the James Bond film, “A View to a Kill” were filmed here. Tour the apartments of the Duc d’Aumale, unchanged since 1870. Farewell dinner at 2 star Michelin Restaurant, Table du Connetable. Spend a second night at Auberge du Jeu de Paume. This is a bespoke travel experience, during which discerning travelers will enjoy the unique aspects of French and European culture. It will offer travelers the rare opportunity to meet and spend time with the often colourful owners of grand historic houses and chateaux. It also provides private access to museums, homes and events in a totally exclusive manner. All this while also enjoying the highest level of personalized service in addition to unique and creative insider tips . By Invitation Only! For all the information you need to book this unforgettable journey please contact my dear friend Lori Seeley. You must tell her I sent you. Do it quickly as this private, invitation-only tour will sell out in days! All opinions expressed in this post are my own. Unless otherwise noted, all photos are the original property of Celia Becker @ www.AfterOrangeCounty.com and may not be reproduced without specific permission. This post contains affiliate links which help to make this blog possible.